Thinking of something green for St Patrick’s Day? 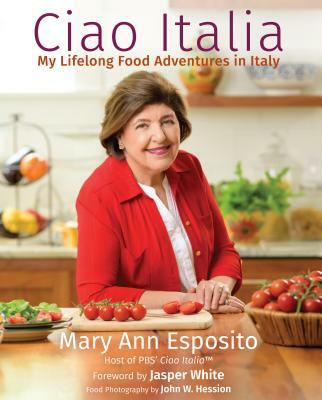 Well there is always the traditional boiled cabbage dinner but how about making a delicious pesto sauce for pasta, fish or chicken. Fresh basil is available in your local stores right now, a sure sign of good summer eating to come. The word pesto comes from pestare, to pound, because this classic fresh basil sauce from Genoa is traditionally made by pounding the leaves into a pulp using a mortar and pestle. Since most people do not have a mortar and pestle, using a food processor is a so so alternative that purists would definitely frown on this because the heat from the processor damages the leaves. Pesto’s sweet, slightly peppery flavor marries well with many foods. Try to use small leaf basil for the recipe as it has much better flavor than larger leaves. 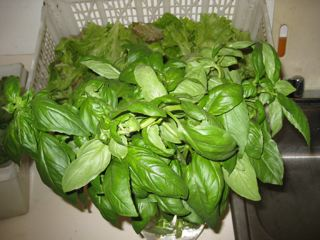 (You can order the seeds for small leaf basil on our web site www.ciaoitalia.com) Use pesto for pasta or stir it into minestrone soup or baste it on grilled fish, chicken or pork. Place nuts, garlic and salt in a mortar or the bowl of a food processor. If using a mortar use the pestle to grind the nuts, garlic and salt or pulse two or three times. Add the basil to the mortar and use a circular motion with the petle to grind the leaves or pulse twice in the processor. Drizzle in the oil and little at a time and mix until a smooth onsistency is obtained If using the proeessor, keep the motor running and drizzle in the olive oil a little at a time until you have a smooth sauce. You may not need all the oil. Put the sauce in a jar and fill ¾ full then top it off with olive oil. Topping off with olive oil each time you use some of the pesto will keep air out and prevent it from turning brown. Refrigerate and use as needed.